Gorgeous and unique home in Glen Park. With unparalleled views, this home sits high above, at the corner of Randall and Harper. Entire North side of home has spectacular views from the kitchen, dining room, bedroom, and upstairs loft. Accessory Dwelling Unit in basement is a one bedroom apartment with a separate entrance. Unique corner property, you must see. Lot Size: 0.04 Acres / 1873 Sq. Ft.
SchoolsClick map icons below to view information for schools near 296 Randall Street San Francisco, CA 94131. Listing provided courtesy of Jonathan Kurniadi, Kurniadi Realty. Home for sale at 296 Randall Street San Francisco, CA 94131. 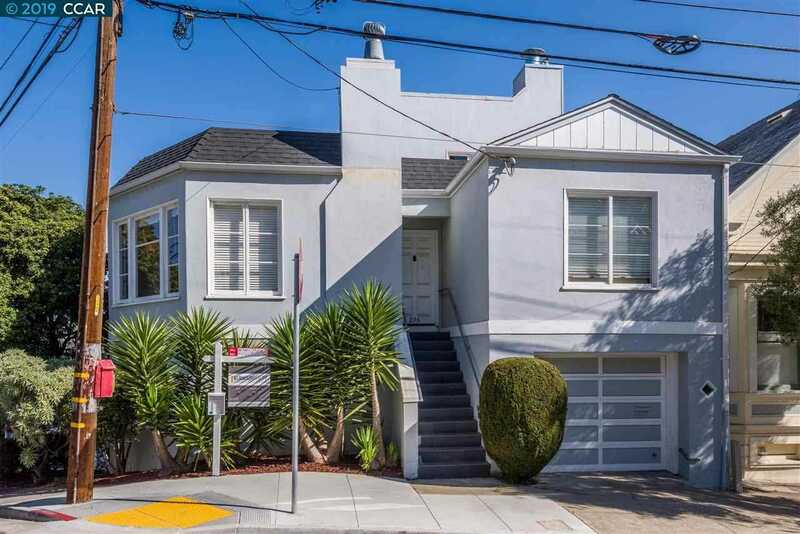 Description: The property at 296 Randall Street San Francisco, CA 94131 with the MLS# 40852242 is currently listed for $1,850,000 and has been on the San Francisco market for 78 days. You are viewing the details of the real estate listing from the East Area MLS at 296 Randall Street San Francisco, CA 94131, which features 3 bedrooms and 1 bathrooms, and has approximately 2259 sq.ft. of living area.